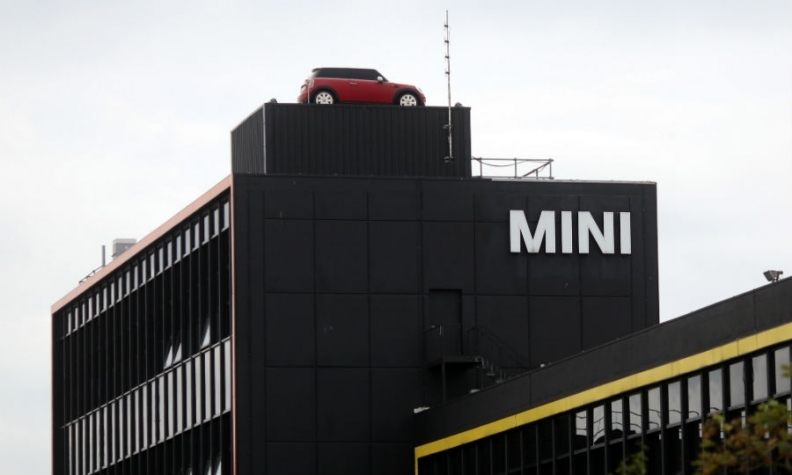 BMW's Mini production in the UK could be hurt by Brexit. FRANKFURT -- BMW Group became the latest carmaker to weigh in on the Brexit debate as an executive warned the introduction of any tariff would have repercussions for the German automaker's business. A day after Toyota Motor and PSA Group expressed disquiet with the UK's planning for departing from the European Union, BMW's head of purchasing, Markus Duesmann, called Brexit a "very uncomfortable scenario." BMW's concern is that Britain's divorce from the EU will result in tariffs and other trade barriers being imposed on its cars and parts. World Trade Organization duties on autos currently average about 10 percent. BMW builds Mini-brand and Rolls-Royce models as well as vehicle components for the group at plants in England, and its exports from the UK total about 2.4 billion pounds ($3.2 billion). "Anything beyond zero level of duty will possibly lead to us changing our value chain," Duesmann said in an interview at the Frankfurt auto show on Wednesday. "We're extremely concerned that the Brexit talks have been so piecemeal and slow so far." Even if Britain negotiates a trade deal which keeps duties at zero, there will still be a "significant" effect on trade from other customs rules, he said. "We're already revising the logistics channels for the UK, so that we'll be able to manage the coming border, whichever duties will be in place in the end," said Duesmann. "We're enabling our suppliers so they'll be able to export to the UK. He spoke a day after Toyota Executive Vice President Didier Leroy told Reuters that there was a "strong need" for clarity on the shape of Brexit and that there could eventually be a "big question mark about our future investment in the country." Carlos Tavares, CEO of PSA, told reporters at the Frankfurt show that he's impatient to get guidance on Brexit to make investment decisions. Brexit was already preventing spending and by the end of the year, the company will pick two scenarios for the split on which it will base decisions, he said.